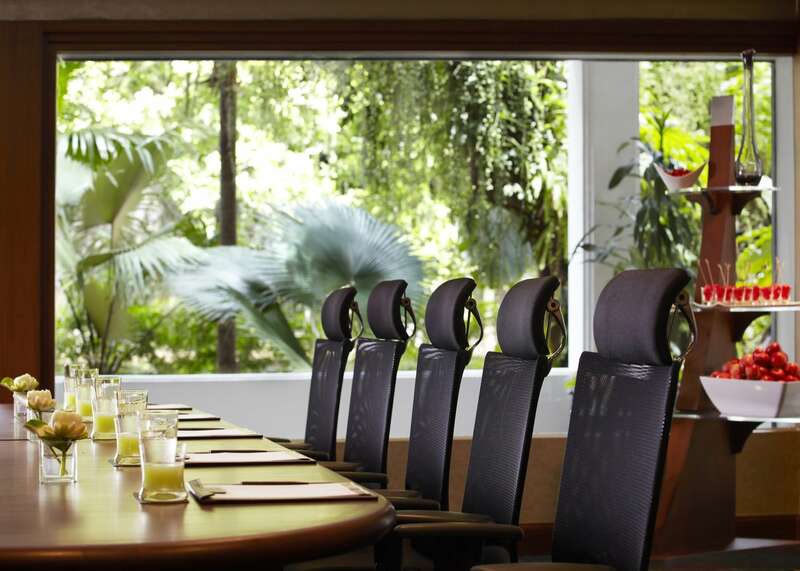 The elegant and spacious meeting facilities of Anantara Riverside Bangkok Resort are embraced by the tropical surrounds and natural light. 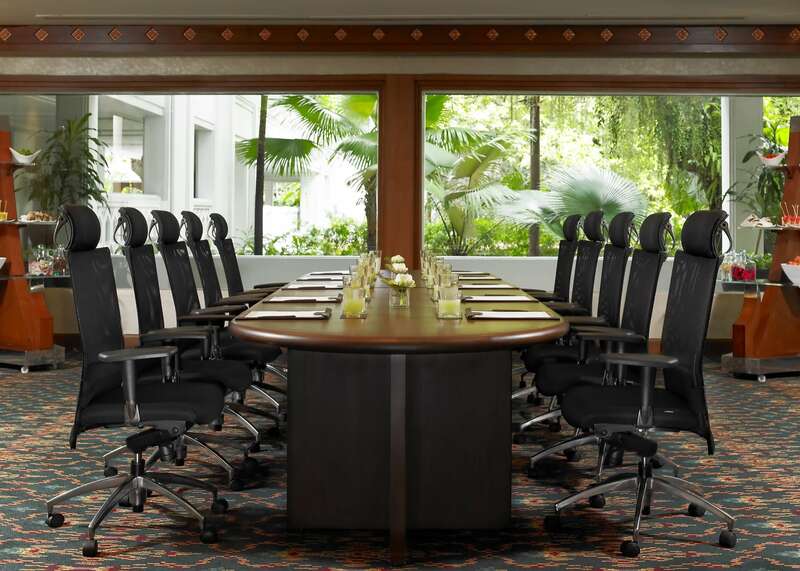 Anantara Riverside Bangkok Resort comprises the large Chaophraya Ballroom, seven meeting rooms, and a business center. 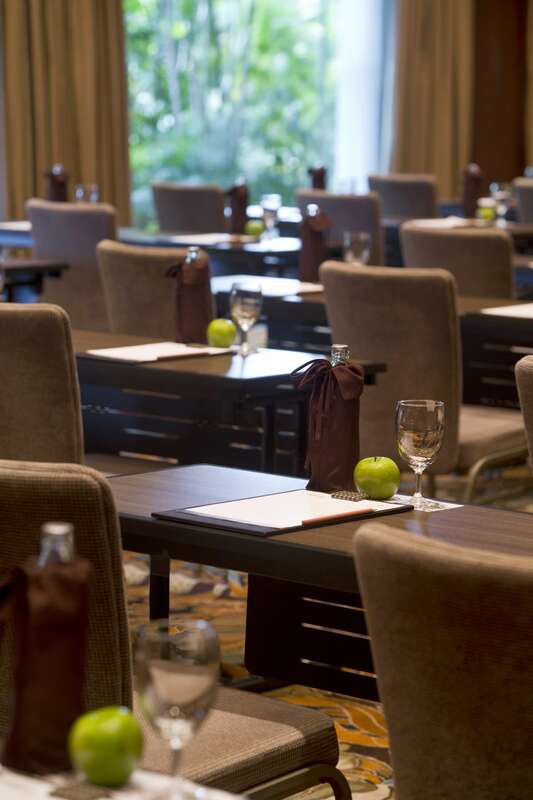 Set within the resort’s lush natural gardens overlooking the Chao Phraya River, the luxury facilities and accommodation along with the unique tropical and urban environment make Anantara Riverside an ideal conference hotel in Bangkok. The diverse collection of state-of-the-art technology equipped meeting spaces, brimming with natural light, offer stunning garden or river views. Some of these spacious meeting rooms can also open out to large pre-function areas where innovative breaks are planned to inspire creative solutions. Branded confectionery is merely one detail that will make your event stand out in style. 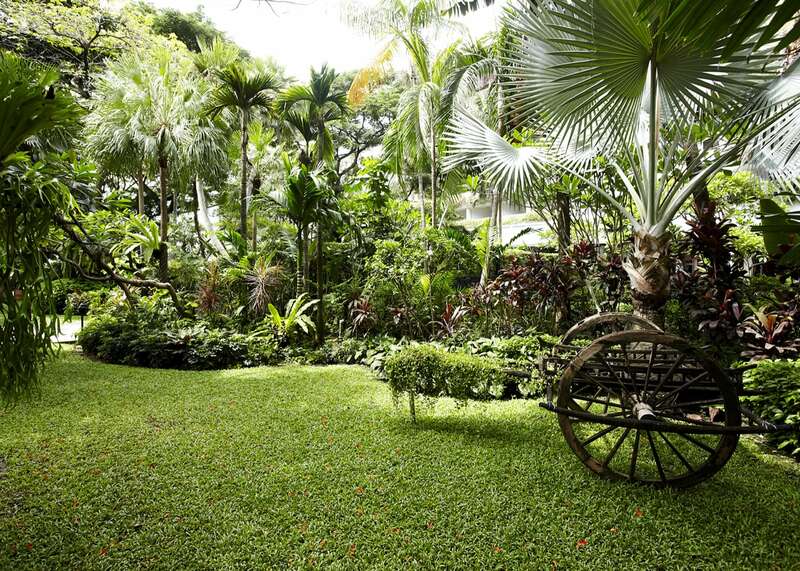 Anantara’s tropical gardens serve as excellent locations for delegates, the press, and sponsors to mingle and to establish productive relationships.